When you’re looking for roofing companies that you can trust to work on your home, turn to Waddle Exteriors. We’ve served residents of Cedar Rapids, Iowa, and other nearby communities since 1978, and are committed to providing a seamless and stress-free roofing experience. We’ll start with a free consultation to help you decide on the best new roofing for your home, and we’ll also provide a complimentary, no-pressure estimate for your project. Thanks to our long-standing focus on customer service, we’ve been able to earn and maintain an A+ rating with the Better Business Bureau and a long list of satisfied customers. In accordance with our commitment to customer satisfaction, Waddle Exteriors offers a wealth of experience with a variety of different roofing materials from various industry-leading manufacturers. While many other roofing companies can only claim specialty with one or two roofing materials, we have expertise with slate, metal, asphalt, wood shake, tile, and flat roofing. Additionally, our roofers continually attend ongoing training programs to ensure they are abreast of the latest best practices for roofing installation. 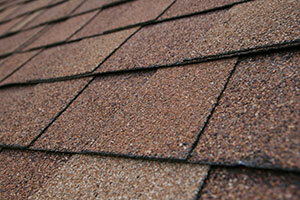 If you’re looking for roofing companies in Cedar Rapids, IA, or another nearby area, contact Waddle Exteriors today.